According to Coupons Inc, 55.7 million American consumers, customers love coupons because they love getting good deal. In fact, 60% of all online shoppers subscribe to a daily deal website such as Groupon, LivingSocial, Travelzoo, Amazon Local and other players. But the ubiquity of daily deal model have left retailers and business owners such as yourself in a love/hate relationship with these daily deal companies. While you love the promotional ability of this model, you aren’t in love with offering discounts of up to 80%, often to consumers who never return and are therefore… invisible. While there’s no doubt these companies can be a good customer acquisition tool, the ability to build customer loyalty for you is a different story. When an invisible customer redeems a coupon from a third party website/coupon book and then walks out the door, still invisible, you’ve lost the opportunity to build a relationship with that customer. 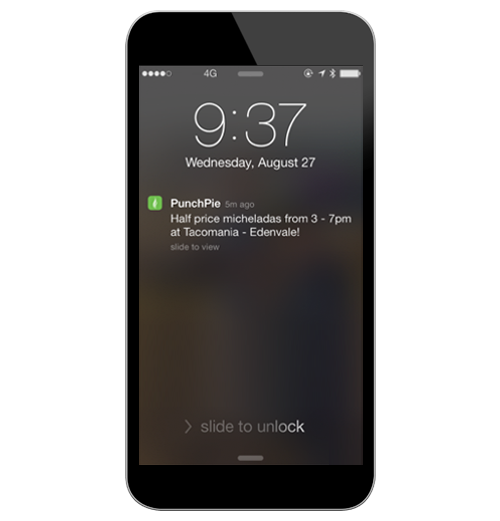 PunchPie helps you in making that invisible customer to be your direct customer. Generation of customers who are between the ages 19- 29 years old are called millennial consumers. Some 80 million strong, this generation is bigger than baby boom generation and 3 times the size of Generation X. 78% of US Millennials rate loyalty and rewards programs as “very” or “somewhat” likely to make a difference in their purchase decisions. Most of these consumers are on mobile are often your most valuable customers: they’re tech savvy, educated, and display more loyal behavior than the general population. 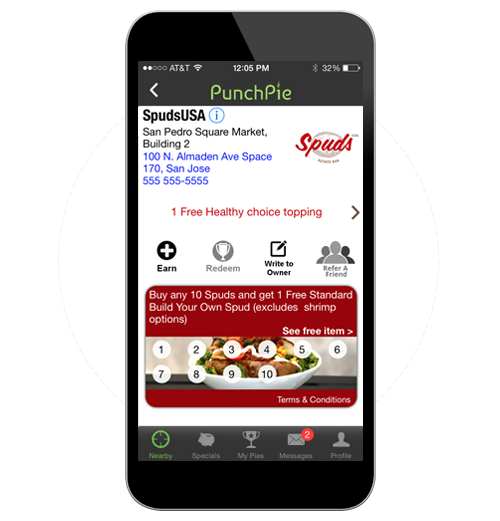 With PunchPie, you can leverage the mobile reach with your very own branded loyalty programs and Specials. 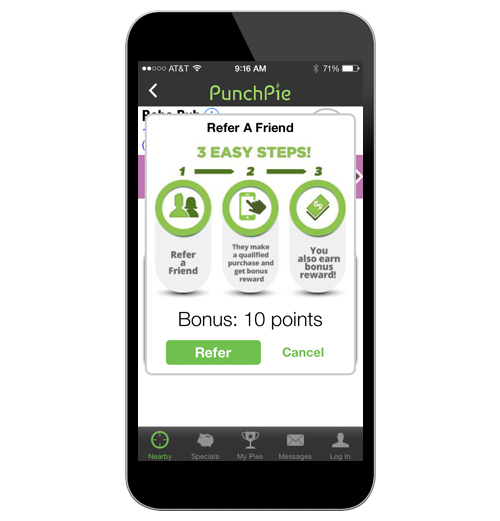 With PunchPie, you can leverage ‘Refer-a-Friend’ feature so that for right incentives, your customers become your brand advocates and reach out to their friends. With ‘Write to Owner’ feature, your customers can reach out to you directly on one-to-one basis on a feedback/suggestion before mentioning on the social sites.